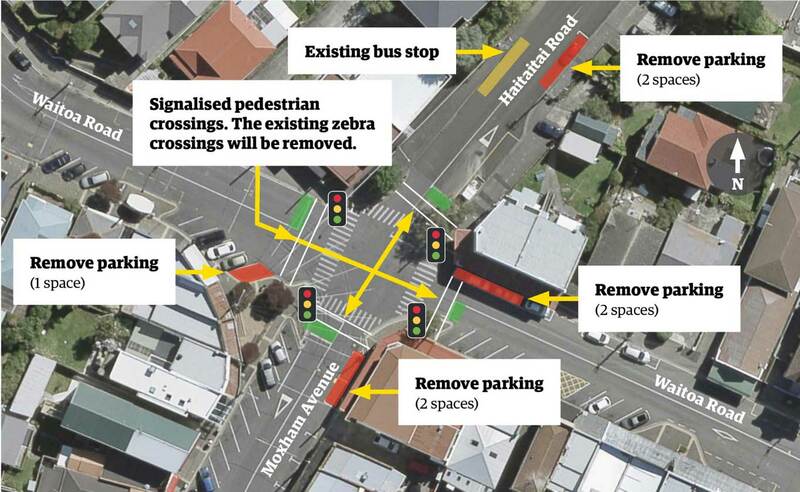 We want to hear your views on the proposal to install traffic lights at the busy 4-way intersection in Hataitai. This intersection includes Moxham Avenue, Hataitai Road and Waitoa Road crossroads. Tell us what you think by 5pm, 25 September 2018. All submissions (including names and contact details) are provided in full to elected members. Submissions (including names but not contact details) will be made available to the public at our office and on our website. Your personal information will also be used for the administration of the consultation process, including informing you of the outcome of the consultation. All information collected will be held by Wellington City Council, 101 Wakefield Street, Wellington, with submitters having the right to access and correct personal information. 3. How often do you travel through the Moxham/Waitoa intersection in an average week using the following transport modes? Have you ever experienced, witnessed or are aware of crashes or near misses at the Moxham/Waitoa intersection? Can you please briefly explain what happened? 5. How safe do you feel when travelling through the Moxham/Waitoa intersection using the following transport modes? 6. Do you think traffic lights with pedestrian signals will improve safety at the Moxham/Waitoa intersection for all users? The Council has developed an intersection change scenario after assessing a number of options to make the Moxham/Waitoa intersection safer. Outlined in the diagram are the current layout and the changes we’re proposing. What is your view?